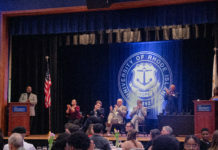 The student’s decision to rearrange the latest issues, to be covered by others they thought to be more positive, was their own and was not from the instruction of the Office of Admission. The student said they chose to place the “good” editions on top because they believed they were helping to better visitor’s experience. “I moved them because I’m a representative of the University and my job is to make sure visitors have a positive experience and reading about bomb threats is not included in that positive visit,” they said. At the time the student chose to rearrange the stacks they said they were unaware that moving the papers was illegal. 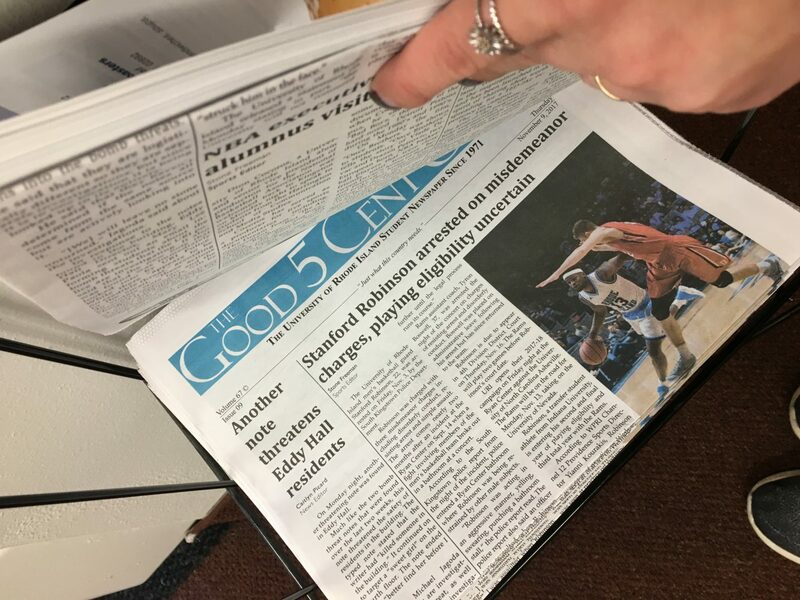 “‘Free’ distribution newspapers are not free,” according to the Student Press Law Center. There are a number of costs associated with any paper, such as printing, production and delivery, as well as salaries or stipends paid to writers or photographers. Revenues generated from advertising sales also give free distribution newspapers a monetary value. Editor-In-Chief Emma Gauthier said she is disappointed that a student took it upon themselves to censor information. When the Cigar reached out to Campus Visit Experience Director Erin Earle she said she was already aware that it was illegal to move the newspapers and it’s something she’s been working swiftly to address and correct. Earle informed student tour guides in a meeting held on Tuesday night that they were not to move any issues of the Cigar. Earle said she is also working on training for the tour guides if parents come to them with concerns over some of the headlines. Campus newspapers not only inform, according to Earle, but they allow students to have a voice as well. Earle said she believes this is an isolated experience, despite some concerns from members of the Cigar’s editorial staff. In order to investigate this further, members of the editorial staff staked out the airport lounge of the Memorial Union in shifts. Despite the stacks shrinking in size quickly, it was determined that the papers were being picked up and read by a number of students, visitors and faculty passing through the high foot trafficked area. At the University Club, which is currently serving as the Visitor’s Center while the original location is under construction, however, two stacks quickly disappeared between the hours of 3:30 p.m. on Thursday, Nov. 9, and 9:30 a.m. the next morning. Although this seemed alarming to members of the editorial staff at the Cigar, given that the headlines notified readers of the bomb threats in Eddy Hall and Stanford Robinson’s arrest, Earle said it is entirely possible that they were all picked up by visitors. More than 3,000 people passed through the Visitor’s Center on Friday. It was a popular weekend to visit since many high schools students were given a day off for Vetran’s Day. Earle does not view any of the headlines as unflattering. “I don’t think the truth can ever be unflattering,” Earle said.